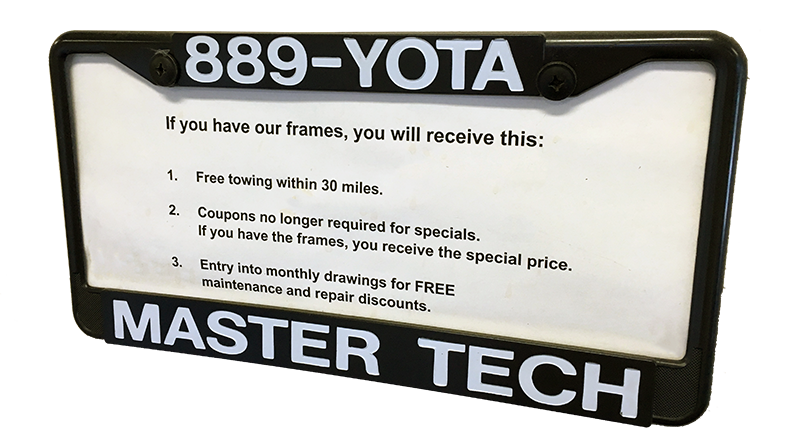 If you put our license frames on your vehicle you not only receive our lowest advertised price, but much more. The license plate frames are FREE. 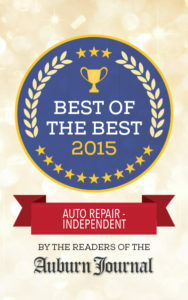 It’s our way of thanking you for showing your support for The Master Technicians, Inc. All you need to do is ask us and it will be our pleasure to put them on. We will pay for 30 miles of towing to get you back to The Master Technicians, Inc. so we can repair your vehicle and get you back on the road. Each month we pick two customers with our license plate frames on their vehicle’s and make them winners. If you have our license plate frames on your vehicle you will receive our lowest advertised price.